Children: The initial dose for infants and children (up to 10 years of age or 30 kg of body weight) should be between 0.01 and 0.03 mg/kg/day and should not exceed 0.05 mg/kg/day given in two or three divided doses. Dosage should be increased by not more than 0.25 to 0.50 mg every third day until a maintenance dose of 0.1 to 0.2 mg/kg of body weight has been reached, unless seizures are controlled or side effects preclude further increase. Whenever possible, the daily dose should be divided into three equal doses. If doses are not equally divided, the larger dose should be given before retiring. Adults :1 mg (elderly 500 micrograms) initially at night for 4 nights, increased according to response over 2-4 weeks to usual maintenance dose of 4-8 mg usually at night (may be given in 3-4 divided doses if necessary). Dosage may be increased in increments of 0.5 to 1 mg every three days until seizures are adequately controlled. 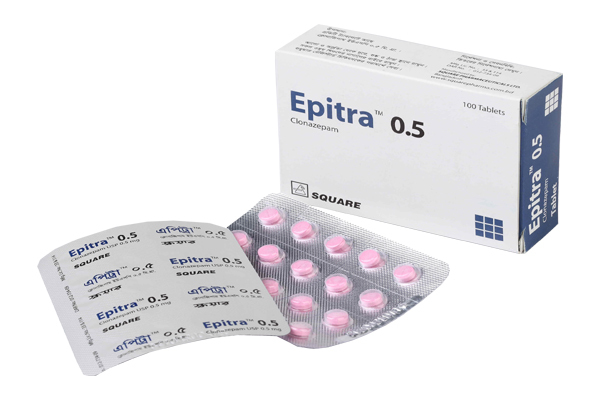 EpitraTM 0.5 tablet: Each box contains 100 tablets in blister pack. 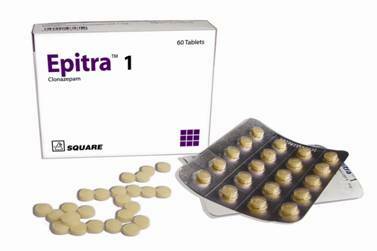 EpitraTM 1 tablet Each box contains 60 tablets in blister pack. 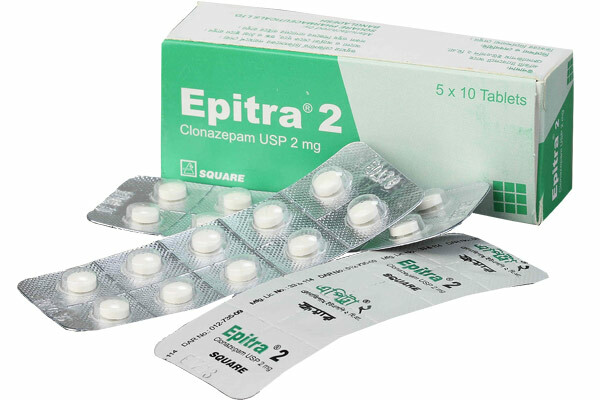 EpitraTM 2 tablet : Each box contains 60 tablets in blister pack.